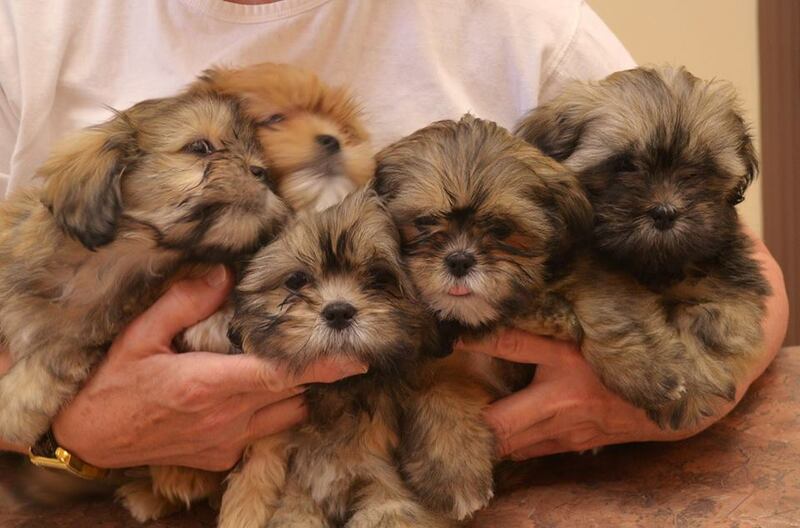 … there’s nothing cuter than a passel of puppies!! And these are about as cute as they come. Please meet the newest little Canadians (l to r): Harvey, Vinny, Gossip, Scandal and Flirt. Very cute!! Love the names too. These are Dante grandpuppies; nieces and nephews to Teller. They are located in Canada. Ah, wonderful then to have the next in line. Looks like 1 red in there, hiding behind!